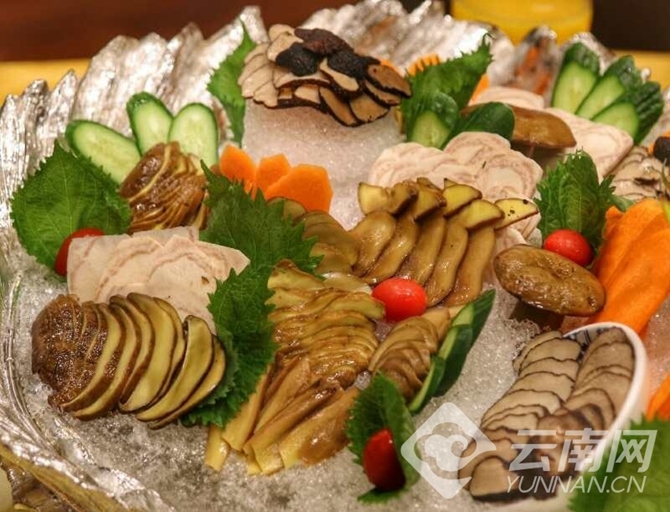 "This dish is baked out of specially-made grapefruit juice and the green-cracking russula," said Ouyang Kunsong, chef with the Kunming-based Fuzhaolou Clay-Pot Chicken Restaurant. 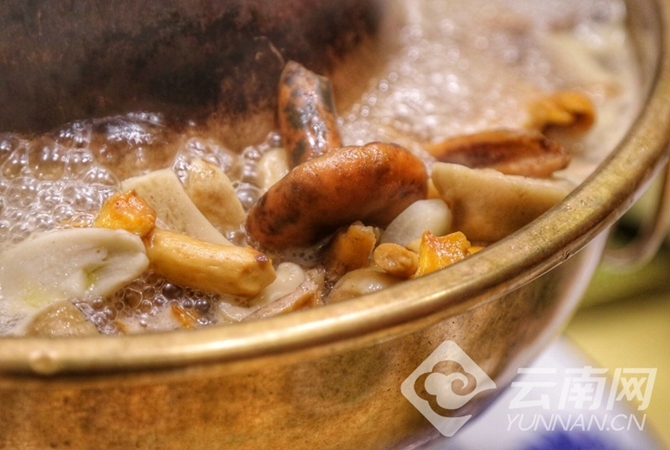 Ouyang was briefing on several ways to cook Yunnan wild mushrooms at a summer fungus-tasting dinner party. 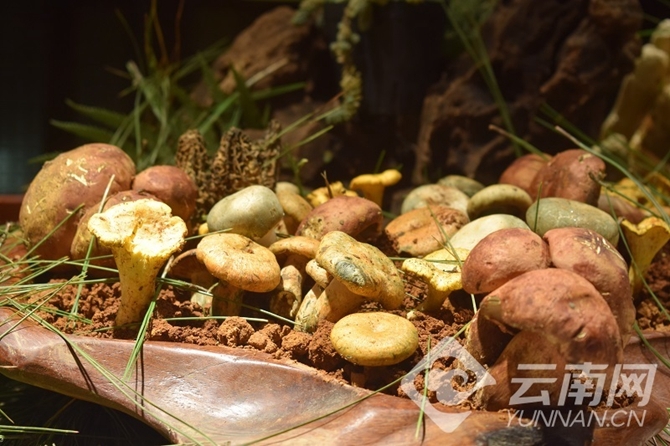 "The edible mushrooms can be cooked in many ways. 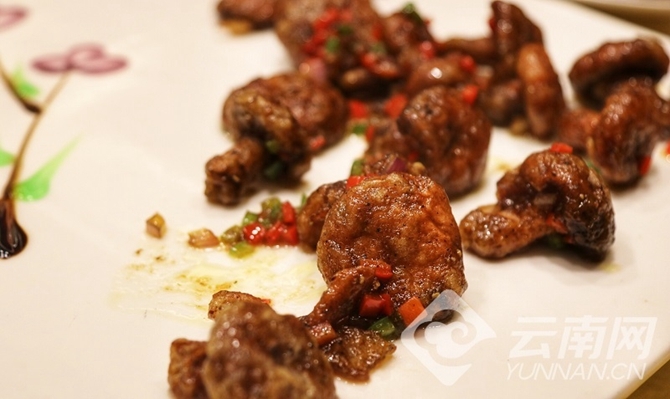 For example, the fungus can be frozen to ensure crispiness and freshness.” Ouyang said, adding that bolete can be fried with beef fillet. 1. 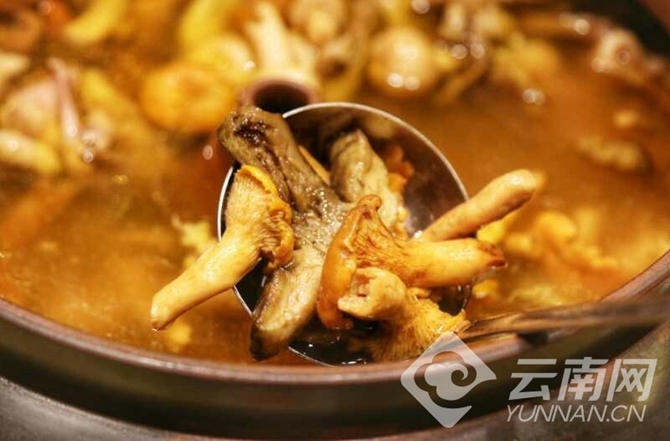 Coupled with garlic, the wild mushrooms will taste better. 2. Add certain amount of ham, and the taste will be improved. 3. Collybia cannot be washed with water, and the dirt must be scraped with a knife.